Wood, Frank Watson (1862-1953). Watercolour signed and dated 1934 and annotated HMS NELSON. 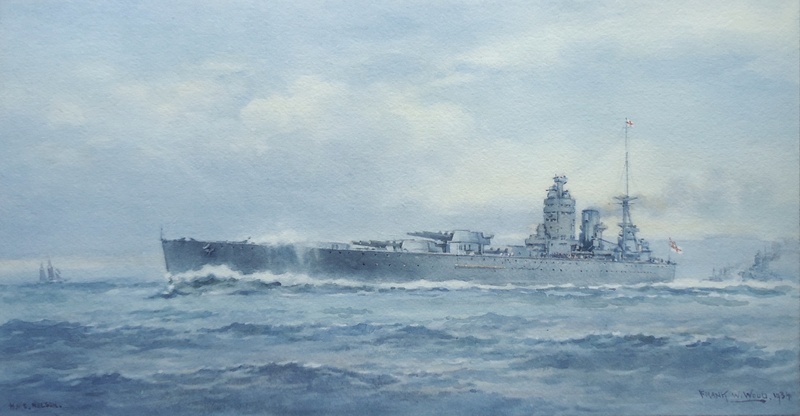 HMS NELSON (Captain A U Willis DSO RN) is painted here by Frank Watson Wood in the summer of 1934 when she was wearing the flag of the Commander-in Chief Home Fleet, Admiral Sir William Boyle KCB.